In 2018, the 4-inch and 6-inch VCSELs were mass-produced and entered the mainstream chip manufacturers in Taiwan. Utilizing state-of-the-art MBE (Molecular Epitaxial Beam Epitaxy) mass production technology to achieve the highest quality of the industry’s largest quality VCSEL epitaxial products. As more and more smartphone and IT equipment vendors follow Apple’s footsteps, VCEL (Vertical Cavity Surface Emitting Lasers)-based 3D sensor systems will be integrated into their new electronics. At the same time, Xiamen Powerway focuses on the industry’s highest quality MBE (molecular beam epitaxy) process. With the expansion of 3D sensing, data center and 5G applications, MBE technology will enter the mainstream market in the future. 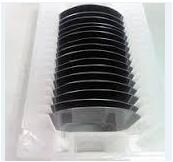 Xiamen Powerway has begun to supply 6-inch large-size PHEMT, VCSEL, Lasers (750nm to 1100nm), QWIP, PIN (GaAs, InP), and 25G Data Center epitaxial structure products. With the increasing use of VCSEL technology, the company’s product line will expand from communications, optical communications and sensing to laser radar, industrial heating, machine vision and medical laser applications. In 2018, VCSEL will become the main driving force for the long-term growth of Xiamen Powerway. Finisar, a US VCSEL chip supplier, has been eye-catching recently and is expanding its plant capacity in Sherman, Texas, USA, with an investment of $390 million from Apple. The newly added capacity is expected to be operational in the second half of 2018. With Finisar’s VCSEL capacity growth, combined with the existing Lumentum supply capabilities, Apple is expected to apply the deep 3D face recognition technology to other products beyond the iPhone X, such as the large size iPad, and applications in the AR(Augmented Reality) field. 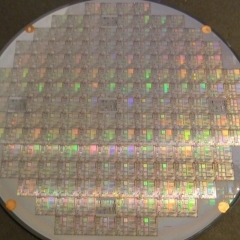 According to IQE, the UK’s largest supplier of wafer epitaxial wafers, the annual growth rate of its optoelectronics business revenue has doubled due to the demand of VCSEL. IQE’s financial performance this year is set to record a new record. As VCSEL product development enters mass production in June this year, it is also the main core driver of IQE’s revenue growth this year. IQE said that the surge in the large-scale market for VCSEL wafers marks a turning point in the commercialization of the technology. The company has won several multi-year contracts for the VCSEL surge, reflecting its track record of putting wafers into the mass consumer market. As a result, the company’s board of directors has now approved a capacity expansion plan to meet the higher level of expected demand in the second half of 2018. 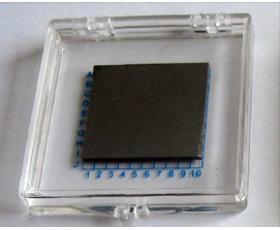 Xiamen Powerway is the first domestic core microelectronic optoelectronic epitaxial supplier. 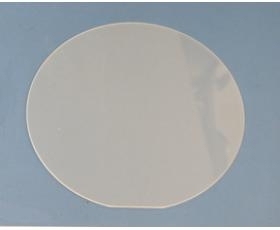 With the intellectual property advantage that it has established in recent years, and its multiple 6-inch 8-inch MBE process wafer capacity, it will require mass production of complex multi-layer VCSEL products, and will continue to invest in the future to achieve domestic counterpart IQE Technical strength and capacity advantages. VCSEL’s labs use new material systems for research, and the reaction zone may be pumped by short-wavelength external sources (usually other lasers). This allows VCSELs to be demonstrated without considering additional problems of achieving good circuit quality; however such devices are not practical for most applications. A typical VCSEL with a wavelength from 650 nm to 1300 nm is based on a gallium arsenide chip composed of DBR composed of gallium arsenide (GaAs) and [aluminum gallium arsenide] (AlxGa(1-x)As). 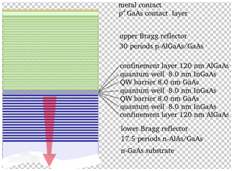 GaAs/AlGaAs systems are very suitable for fabricating VCSELs because the lattice constant of the material does not change very strongly when the composition changes, and allows multiple lattice-matched rejuvenation layers to grow on the underlying layer of gallium arsenide. 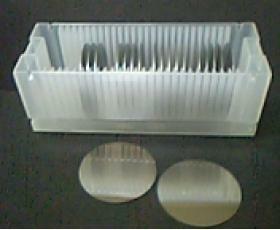 However, as the Al molecule increases, the refractive index of the aluminum gallium arsenide becomes stronger, and compared to other systems, an effective Bragg mirror is formed, and the number of layers used is minimized. In addition, in the more concentrated part of aluminum, an oxide forms AlGaAs, which can be used to limit the current in the VCSEL to achieve a low threshold current. In the early 1990s, electronic communication companies were more inclined to use ion-embedded VCSELs. Hydrogen ions H+ are typically implanted into the VCSEL structure, except wherever the resonant cavity is used, to disrupt the lattice structure around the resonant cavity, limiting current flow. In the mid-1990s, these companies followed the technology of oxidized VCSELs. 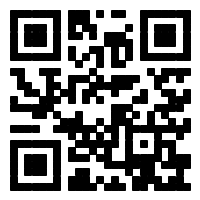 The oxidized VCSEL utilizes the oxidation reaction of the material surrounding the VCSEL resonator to limit the current, while the metal layer containing more aluminum inside the VCSEL structure is oxidized. Oxidized lasers also often use ion-embedded techniques. Therefore, in an oxidized VCSEL, the path of the current is limited by the ion-embedded resonant cavity and the oxidizing resonant cavity. 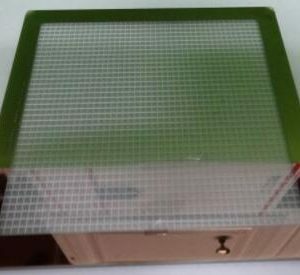 Structure for InGaAs photodetectors We offer the wafer structure InGaAs photodetectors as follows: Material X Thickness (nm) Dopant Doping concentration InP 1000 N (Sulfur) 3e16 In(x)GaAs 0.53 3000 U/D 5e14 InP 500 N (Sulfur) 3e16 Substrate SI (Fe) Source:PAM-XIAMEN For more information, please visit our website:https://www.powerwaywafer.com/, send us email at sales@powerwaywafer.com or powerwaymaterial@gmail.com.